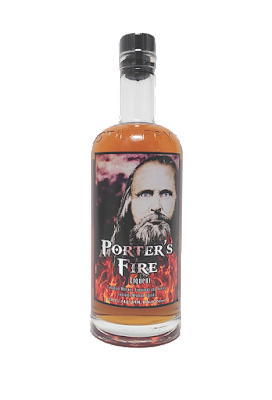 Porter's Fire (67 Proof) is Ogden's Own newest creation. Porter's is a spirit born of rich, Utah legend, involving Mormon leader and close friend, Joseph Smith, who prophesied over Orrin Porter Rockwell (1813-1878). Porter's Fire is comprised of Canadian whiskey, natural cinnamon and just a bit of vanilla. Just like Ogden's Underground, Porter's Fire is an odd duck, too as it is liqueur with whiskey. Weird. Huh? Drop the shot glass into the cider glass.